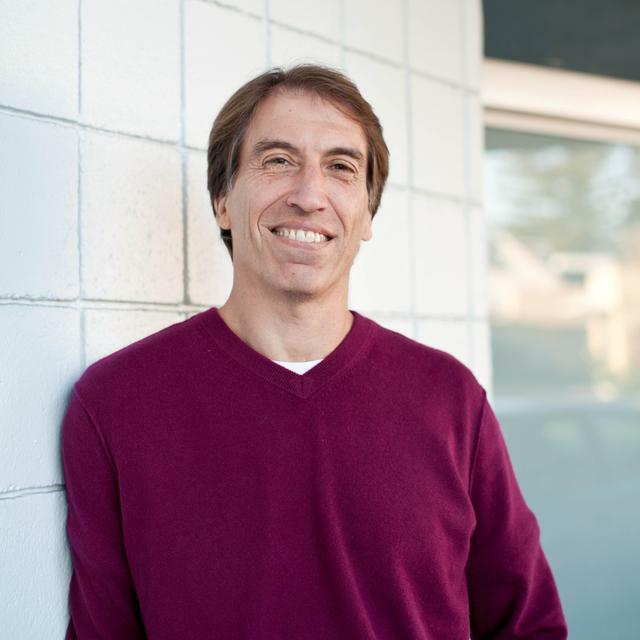 Andy Rachleff is Executive Chairman of Wealthfront, an automated investment service. Prior to Wealthfront, Rachleff co-founded and was general partner of Benchmark Capital. He also teaches courses on technology entrepreneurship at Stanford Graduate School of Business. Follow him on Twitter @arachleff. In their outstanding book, The Discipline of Market Leaders, Michael Treacy and Fred Wiersema argue the only way to achieve market leadership is through a singular focus on one of three strategies: Product leadership, cost leadership or customer intimacy leadership. The most common of the three strategies pursued by technology companies is product leadership. Here's how you can achieve it, and why you need it to win big. Contrary to popular opinion, product leadership is not synonymous with being first to market. In reality, few market leaders were the first to introduce products into the markets they now lead. Rather, the market leader is the first to hit product-market fit. In other words, they were the first company to deliver a product that addressed what customers actually wanted. Intuit was the 37th company to introduce a personal finance tool with Quicken. Google was at least the 10th search engine. Oracle was by no means the first relational database. Apple was a late entrant into the MP3 player market with the iPod. Time after time, the winner is the first company to deliver the food the dogs want to eat. Fifty years ago, General Electric published research that demonstrated in almost every market over the long term, the market leader ends up with a 40% market share, the number two player garners a 20% share, number three earns 10% and the rest of the market shares the remaining 30%. These numbers hold to this day, except for network effects businesses like online marketplaces where market leaders command more than a 90% share. Leading market share translates into a number of incredible benefits. First and foremost, the market leader earns exponentially higher margins. That enables them to reinvest in their business at a more rapid rate, which further separates them from the pack. Market leadership provides a larger megaphone, which allows the leader to better set the agenda for what customers should expect from their suppliers. Corporate partners much prefer to work with category leaders, which can provide enormous endorsement and distribution benefits. Market leaders have an unfair advantage when it comes to recruiting the best people. And finally, market leaders are able to raise money more easily and cheaply than their competitors. By now, I hope you see a pattern. A virtuous cycle exists for the leader that is not available to the wannabes, allowing the leader to increase its lead. Once a company has achieved product market fit, it is extremely difficult to dislodge it, even with a better or less expensive product. Dropbox is a great example. It continues to lead its category despite Google and others significantly dropping their prices. Dropbox maintains its lead because it was the first to product-market fit and continues to innovate. The leader usually only needs a product that’s good enough, not better than new entrants to maintain its market supremacy. Sailors know you can’t overtake your competitor on the same wind. It’s no different in business. You need to tack (i.e. take a different path) if you want to overtake the leader. The second place player’s only chance to win is to change the definition of its market. Google, Facebook and Nintendo are three great examples. All entered their markets after there was an entrenched leader, but in each case, they didn’t build a better product. They built a different type of product. In Google’s case, Yahoo had forsaken search to become a content company. It even outsourced its search to Google. However, what really propelled Google’s success was its focus on self-service text ads rather than display ads that had to be sold through a direct sales force. Facebook didn’t build a better product to beat Myspace. It built a different type of product. Ironically, Facebook was the first social network to offer privacy options, which turned out to have vast appeal to college kids. That’s all Facebook needed as a beachhead. The rest is history. Nintendo was rapidly losing market share in an all out war with Microsoft and Sony over who could create the most powerful graphics in the video game business. Rather than continue to compete on Microsoft’s terms, Nintendo tacked and introduced Wii, a completely different type of product that appealed to a different audience. The pivot paid off handsomely. Tacking is not the way most people think about attacking from behind. Strategic consulting firms have built huge businesses advising laggards on how they can better implement their industry’s best practices to improve their shares. Unfortunately that seldom, if ever, enables their clients to overtake the leader. Andy Grove drew incredible accolades for his book Only the Paranoid Survive. It created an entire generation of executives who were maniacally focused on their competition. One of the many reasons I so respect Reed Hastings, CEO of Netflix, is his willingness to challenge conventional wisdom. In one of my recent Stanford Graduate School of Business classes where he guest lectured, Reed suggested that being paranoid about competition is the last thing you want to do because it distracts you from the primary job at hand: Delighting the customer. Delighting the customer always yields better returns than countering or copying a competitor. It’s just a lot harder to do. You can always distinguish the market leader from the laggards by their messaging. In his book The Gorilla Game, Geoffrey Moore (also the author of the groundbreaking Crossing The Chasm) described the major players in markets using primate terms: Gorillas, Chimps and Monkeys. Gorillas are the market leaders. They are easy to spot because they promote the efficacy of their approach to grow their market. Chimps promote a different product approach to address the same customers, usually without much success. Monkeys attempt to clone the Gorilla’s product approach and usually describe what they do relative to the Gorilla, often with a lower price and exaggerated performance claims. This seldom leads to more than modest success. I am intimately familiar with this dynamic because I’ve seen it replay in so many markets, across so many generations of technology. Don’t take my or Geoffrey Moore’s word for it. Think about the tech markets with which you are most familiar and consider who among the competitors fit into each category. You will see the patterns of Gorillas, Chimps and Monkeys emerge for yourself. If you're not first, you’re last.